J.N.Y. Transport Ltd. has been serving the Maritime Provinces, Ontario & Quebec since 1993. J.N.Y. Transport Ltd. is committed to getting your goods to their destination. J.N.Y. Transport Ltd. drivers are certified and the most trained in Grand Falls.
" 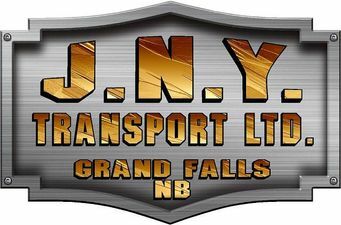 Without a doubt, they are the best transport and hauling company in Grand Falls. I don't know what I would do without them! " " When I need to make sure my products hit the shelves on time, I trust my hauling to J.N.Y. Transport Ltd.! " " Rest assured, we'll get it there when you need it! "